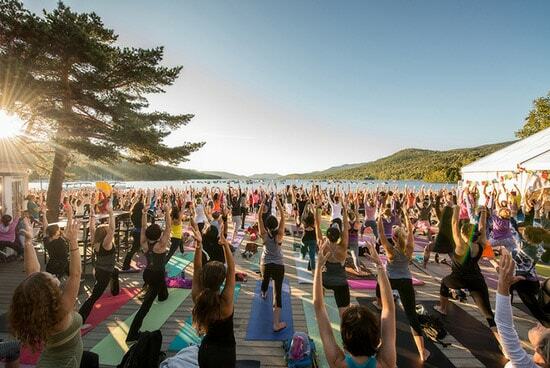 The explosion of yoga in the last decade has also seen an explosion of yoga festivals. Of course, festivals focused on consciousness have been happening for much longer – Prana Festival here in New Zealand had a 25 year history. While it is sadly no more, there are many other festivals that you can attend where you have a high chance of engaging with more conscious folk. This is a list of some of the festivals coming up over the summer festival season in New Zealand and Australia. If you haven’t yet made it to a festival, now is the time. 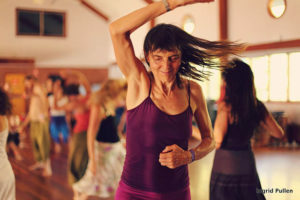 If you feel a little nervous about the prospect of being surrounded by hundreds or thousands of people dancing, playing, yoga’ing and namasteing, dip your toe in the waters by starting with a day pass only. Wanderlust is the leviathan of the yoga and consciousness festival world. The four-day festival was birthed in the United States in 2009, and first came to New Zealand and Australia in 2013. Wanderlust Festivals are characterized by their superb all-star lineups of yoga teachers, musicians, and leaders of the conscious living moment. Wanderlust is a slick event. 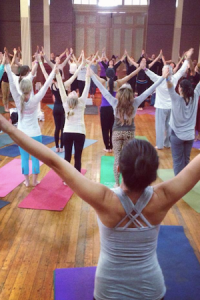 It attracts yoga loving women in their early to mid thirties (the audience is typically 85% female with an average age of 33) and is renowned for it’s consistently high quality of speakers, performers, and teachers. Wanderlust Festivals are always held in places of great natural beauty, feature local and sustainable food, and cultivate a participatory community spirit. Wanderlust Sunshine Coast is graced with the likes of Shiva Rea, Ana Forrest, Amy Ippoliti, Deya Dova, and Xavier Rudd, and is set on Australia’s luscious (and appropriately named) Sunshine Coast. Prices start at AUD $490 for a four day ticket. You can also chose to come from three days, one day, or for one evening music session. Accommodation is onsite in the 4-star Novotel Resort, or camping at the nearby Wanderlands campsite. Yogafest is Australia’s largest celebration of Yoga, now celebrating it’s 10th year. It’s main drawcard is masterclasses and workshops with Australia’s best yoga teachers, like John Ogilvie and the team from Power Living. Yogafest showcases everything from Iyengar Yoga and Power Vinyasa, to Circus skills and Kinesiology, and also features music, massage, and tasty nourishing food. With a ticket price of only AUD$75 for one day or AUD$135 for a two-day pass, Yogafest is truly a bargain. 20th – 22nd January 2017, Nelson, New Zealand. Evolve Festival is appropriately named. It’s been around for twenty-five years, and has gone through several iterations, starting off as Festival of Possibilities, morphing into the Festival of Opportunities, before finally settling into it’s current name. It’s a small festival that’s quickly growing in popularity, but it still has a relaxed and low-key vibe. You won’t find come across gangs of tipsy teenagers, or aggressive drinkers here. Evolve is in the heart of Nelson, a town with reputation for it’s sunshine and relaxed vibe. The festival focuses on connection, transformation, and creativity, and features speakers, workshops, and exhibitors in health, wellbeing, spirituality, indigenous wisdom, sustainable business and creative expression. There’s also music, performances, a clothes swap, a seed swap, and plenty of good food. Tickets are very affordable: An adult ticket for the whole weekend will only set you back $35. Day tickets will be sold on the gate from $15. Children under twelve are free. A limited number of camping and glamping spots are available. 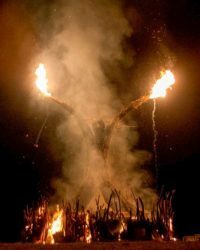 Kiwiburn is New Zealand’s version of Burning Man, a participatory annual gathering in the Nevada desert which culminates in the burning of a giant wooden effigy. Kiwiburn is a bit different to any other summer festival available in New Zealand. You can’t ‘attend’ Kiwiburn, but you can be part of it. It’s described as a ‘temporary community’, and when they say ‘participatory’ they really mean it; there are no paid performers at Kiwiburn, and the festival operates entirely on a gift economy. In fact, the only thing you can buy at Kiwiburn is ice. Everything else you would expect to find at a festival, like greasy festival food and marketplace crafts, is provided and given away by participants. It’s definitely got a very different vibe to something more commercial and controlled, but if you’re up for it you might have an experience of community and connection that you just can’t find at a commercial event. Tickets are NZD $170 + booking fee. Children under 15 are can attend for me. All surplus funds are re-invested into the next year’s festival. Rainbow Serpent is alternately described as a ritual, a reunion, an institution, a family gathering and a “five-day stretch of madness.” It has deep roots in the Australian Aboriginal culture; the name comes from an Aboriginal Dreamtime creation story, in which the Rainbow Serpent shapes and protects the landscape of the earth. The music is mostly electronic, and runs 24-hours a day, but don’t expect this to be a your typical electro music festival. On offer at Rainbow you’ll also find talented artists, creative performances, crazy costumes, healing and relaxation, and workshops, as well as a touch of instrumental music thrown in for good measure. Be prepared for all kinds of weather. Temperatures can get up to 35°C during the day, and then drop right down at night, and rain and hail storms are not uncommon. Accommodating is camping only. You can choose to opt for the Family Camping area, or enjoy a touch of luxury with a Yurt, Teepee or Bell Tent in the Premium Accommodation area. Tickets are $350. Children under 12 are free. Note: Unfortunately Rainbow Serpent 2017 have already sold out of tickets, but don’t panic, a waiting list is available, and there’s always 2018, just remember to get in early! Luminate is an earth-friendly festival that celebrates Lughnasadgh, an ancient summer harvest festival. It features an incredibly wide wide range of music, and dance, including Roots, Tribal, Gypsy, Dubstep, Reggae and Folk, and an inspiring program of workshops on everything from fermented foods, permaculture and alternative healing techniques, to poi, African drumming, and juggling. At just over a week long, Luminate is an extended festival experience, where you can really get to know your fellow festival goers, and relax into a summer holiday rhythm. Luminate is also a family-friendly event; the whole event is alcohol free, festival goers are relaxed and mindful, and the festival is surrounded by beech forests, streams, and paddocks for kids to play in. Children under 13 can attend Luminate for free, and it’s not uncommon to see gangs of kids exploring the area, dancing to the music on the main stage, or falling asleep in their parent’s laps during workshops or meditation sessions. There is a strong emphasis on waste minimization and sustainability; expect composting toilets, and be prepared to take out everything you bring in. There are no rubbish or recycling bins onsite. The only accommodation available is camping, which is included in the ticket price, so you need to be well prepared if you’re planning to stay for the whole week. Tickets are NZD$305 (or NZD$235 if you nab one at an early bird price). New Zealand’s Wanderlust Festival is now coming to it’s third year at Lake Taupo, New Zealand’s largest lake and a place of deep natural beauty. Like all Wanderlust Festivals, this four-day event is a celebration of mindful living, featuring an overwhelming selection of the world’s most talented yoga teachers, musicians, and leaders of the conscious living movement. For Kiwi yogis, who don’t often have access to international yoga teachers, this is an incredible opportunity to learn from teachers who we could normally only see in magazines or on the internet. Wanderlust is all about face-to-face (and heart-to-heart) interaction, be it with teachers or with other participants, making it an opportunity for real transformation and expansion. The lineup for 2017 includes international yoga greats like Elena Brower, Eoin Finn, Swami Govindananda, Rob Stryker and Daniel Scott, as well as home-grown heroes like Nikki Ralston, Jase Te Patu, and The Yoga Lunchbox’s Kara-Leah Grant. Wanderlust Great Lake Taupo is held at a four-star resort with many accommodation options, including private rooms, villas, and camping. Ticket prices start at NZD $410. Now in it’s second decade, Earth Frequency is getting a reputation as one of the best transformational festivals in the world. Set in the luscious natural environment of the Queensland hinterland, this four-day outdoor festival, has an emphasis on inclusivity and community, which is evident in the outstanding diversity of the attendees. At Earth Frequency you’ll meet people from all walks of life: grandmothers, dreadlocked hippies, Melbourne hipsters, circus performers, and you’ll encounter all kinds of music and music lovers.The music is both live and electronic, showcasing creative and independent performers of all genres, including, Reggae, Glitch-Hop, World Music, Pystrance, Techno, and Funk. Camping is the only accommodation available, although you can opt for Deluxe camping, Family camping, according to your requirements. Adult tickets are AUD $260 to $300. Byron Bay has a certain magic to it that has made it a mecca for anyone interested in mindful living and alternative lifestyles. Byron Spirit Festival celebrates the unique atmosphere of the area, and unites musicians, yogis, healers, philosophers, artists, and teachers who share a vision of raising consciousness in a communal setting. Each year the Byron Spirit Festival is formed around a central theme or question that is relevant to the community of attendees. The workshops, music, speakers, and other offerings of the festival all seek to answer this key question. 2016’s festival was themed around “Ancestral Seeds,” honouring indigenous cultures from around the world, and inviting participants to enter into the experience of these cultures. Byron Spirit Festival has a truly delicious vibe, and is able to generate a real sense of community and care amongst its participants. Great article! Rainbow Serpent is my favourite festival. I hope to check out some more festivals in New Zealand as well.